Jennifer Sirangelo is a believer in young people and their capacity to change the world. She leads National 4-H Council in its mission to increase investment and participation in high-quality 4-H positive youth development programs. Sirangelo joined Council in 2006 to grow support for the 4-H movement, which reaches more than seven million young people worldwide through programs in science, agriculture, health and citizenship. In her previous roles as Executive Vice President and Chief Operating Officer, she led the development of Council’s strategic plan and tripled annual fundraising. She received a Bachelor of Arts degree in communications and political science from William Jewell College, a Master of Public Administration degree from Syracuse University, and attended St. Peter’s College at Oxford University. As an undergraduate, Sirangelo was recognized as a Harry S. Truman Scholar. 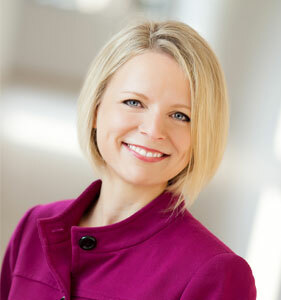 She serves on the boards of America’s Promise Alliance and the National Human Services Assembly. She also is a member of STEM Connector and serves the organization in two roles; as a member of the STEM Innovation Task Force and co-chair of the Youth Committee of the Food and Ag Council.